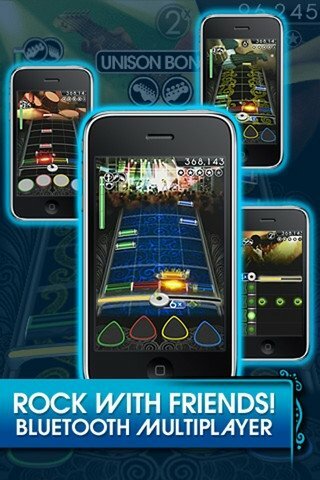 Rock Band for iPhone is the adaptation for this device of the popular video game in which you will be able to emulate one of the great rock stars no matter where you are. Start your artistic life at the lowest level in bars of dubious reputation and manage to go all the way, ending in concerts in stadiums that are totally sold out. The mechanics of Rock Band, as you should already now, is based on playing the songs by pressing the corresponding colours for each note. You will be able to choose between playing drums, guitar, bass or being the singer of your group. Includes multiplayer functions via Bluetooth connection. 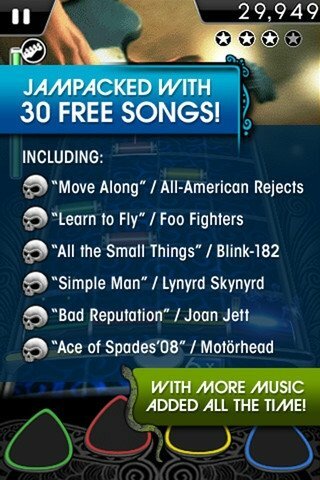 With Rock Band you'll have access to thirty two songs from famous groups and artists such as Foo Fighters, Motörhead and Lynyrd Skynyrd but you can expand the songs by buying new ones online. 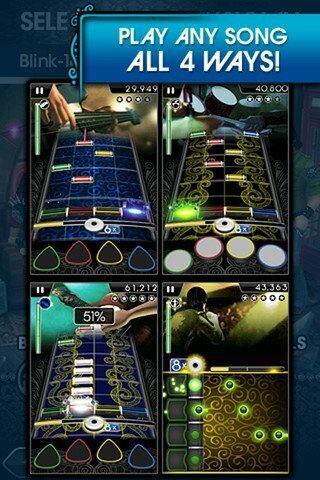 Download Rock Band and become the rock start that you always wanted to be on your iPhone. Requires iOS 3.0 or above. This download is a pay-to-play application. You also have to pay for the additional music.